Rage Power Sport Anti-Wobble and tilt prevention bracket designed to work with 2" Class III or Class IV hitch receivers and cargo carriers, mobility carriers, or hitch bicycle racks. The collar pinches the main tube firmly against the vehicle hitch receiver to reduce excess play in the system. 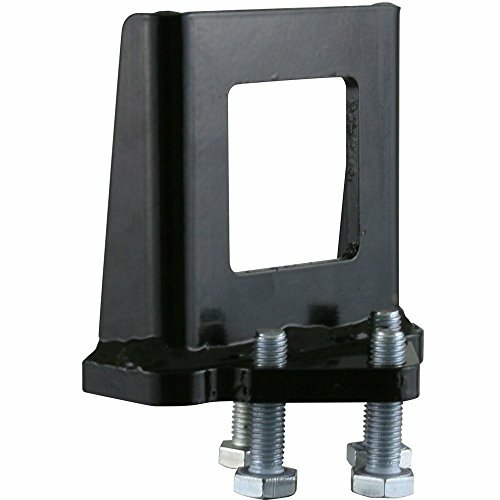 Adjustable bolts on the anti-tilt bracket are tightened to stabilize the hitch tube in the hitch receiver. The reverse anti-tilt style works with extended chain loops. Heavy duty steel construction with a durable black finish.